DAVID LE/Staff photo. 2/27/15. 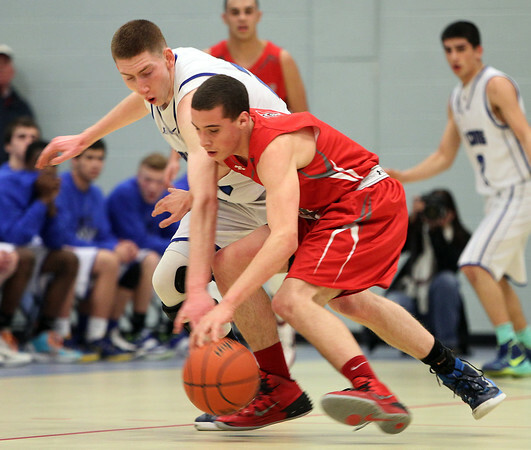 Danvers senior guard Vinny Clifford reaches in on a steal attempt on Wakefield junior Corey Imbriano.